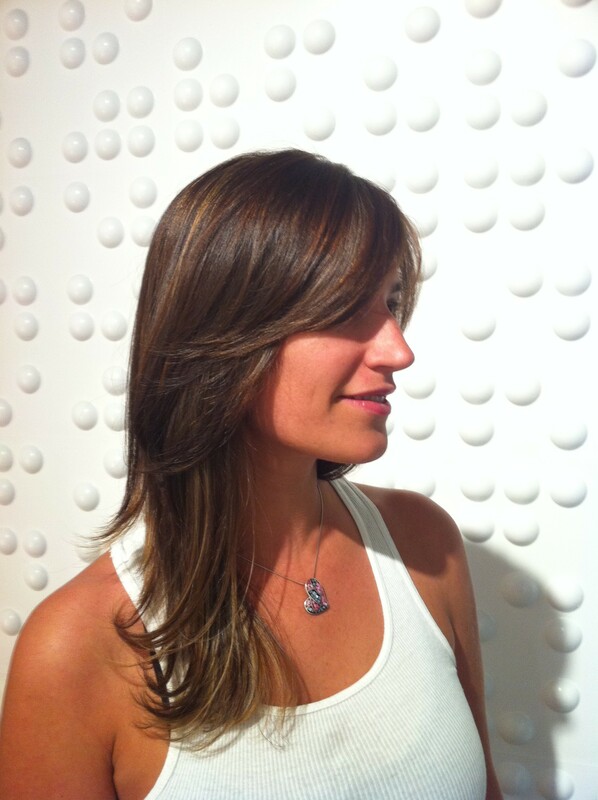 andria had some former soft ‘tobacco-ey’ colored highlights in her tresses. she was ready to pump up her color for summer and we decided that some ‘balybré’ ™ (that’s a combo of balayage and ombré) was right for her. the blonde tones placed away from her face allow andria to still look like herself… not competing with her great brows. the heavier caramel and warm milk chocolate tones placed throughout her layers keep her color looking rich, dimensional and spectacular! wheee! All of your clients are so beautiful! Love this look.